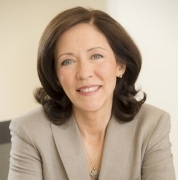 "Maria Cantwell currently serves as a United States Senator for the State of Washington. As a respected leader – both in public service and in the private sector – Maria has always embraced the values she first learned growing up in a strong working-class family. With the help of Pell Grants, Maria was the first member of her family to graduate college. Later, a successful businesswoman in Washington's hi-tech industry, she helped build a company that created hundreds of high-paying jobs from the ground up. Maria was elected to the U.S. Senate in 2000 and again in 2006, pledging to honor the hard work, aspirations and faith of the people of Washington state. She is working to create affordable opportunities for consumers, businesses and families, to make our nation more secure today, to foster innovation for tomorrow, and to stand with parents as they educate and care for their children. Maria gets results. She cut taxes for the middle-class by ensuring that Washington taxpayers can deduct state and local taxes from their federal returns. She fought attempts by the Bush Administration to raise local electricity rates. When bankrupt Enron officials tried to charge Washington ratepayers for millions of dollars in undelivered electricity, Maria led the effort that successfully stopped them. Maria has protected countless jobs in Washington's aerospace industry by cracking down on foreign companies' unfair trade practices and has worked to create still more well-paying jobs through effective investments in new technology and valuable job training. Maria successfully led the fight to stop drilling in the Arctic National Wildlife Refuge and is leading efforts in the Senate to make America more energy independent. She has been a proud advocate for better educational opportunities for our children and less expensive, more accessible health care for our families. Maria continues to build new growth and strong partnerships, insisting on responsibility and making life more affordable for all of Washington 's families."